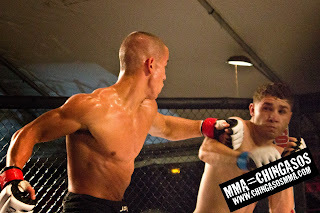 Spar Star Saturday Night Fights - Photos and Results | MMA Fighting Events Videos Techniques UFC Fight Picks and News. 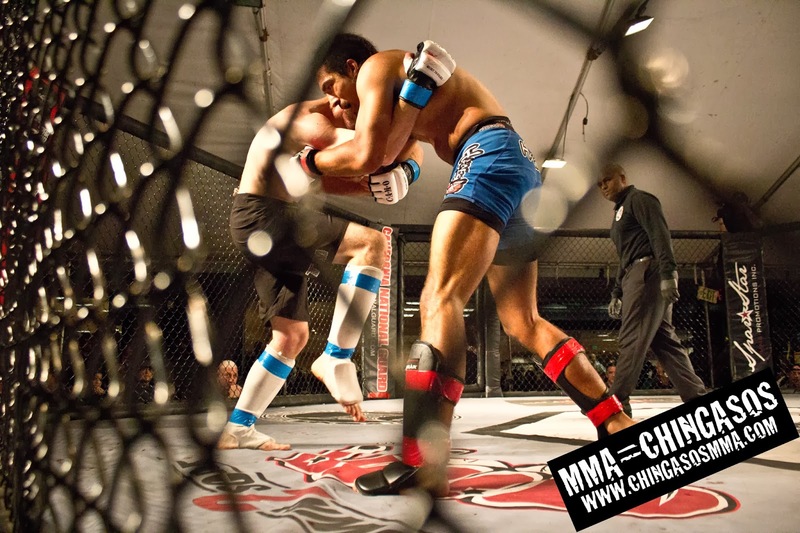 On Saturday January 25, Spar Star MMA Promotions, Inc. brought Los Angeles area MMA fans 13 exciting amateur fights. Saturday Night Fights was held at the Hollywood Park Casino in Inglewood, California. With a DJ, live band and over 1100 fight fans in attendance, there was an eruption of energy. Spar Star Promotions really out did themselves. Check below, our Instagram and Facebook for more photos. Rosales got a takedown and cranked Castodio's face. Castodio got up and got his own takedown, but Rosales was able to get the reversal. Rosales came out throwing, and knocked the mouth piece out of Castodio's mouth. Rosales threw flashy kicks, but they did not connect. 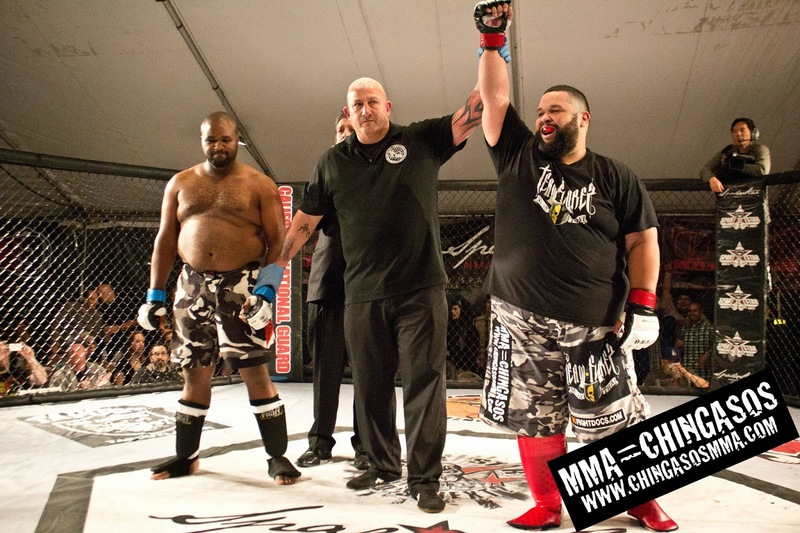 Castodio pulled guard and worked his way to the top position. Rosales came out throwing again. The whole round, he threw a few hard punches that had Castodio backing up, but then he would back away. Both fighters met in the middle of the cage and started to throw. Chavez caught Lopez with a right, and knocked him down. The fight went to the ground and Chavez took mount. Both fighters engaged in the center again, with both fighters landing their share. Lopez landed a low blow, and after Chavez recovered, they went right back at it. The round started like the other two, with both fighters throwing in the center of the cage and not backing down. 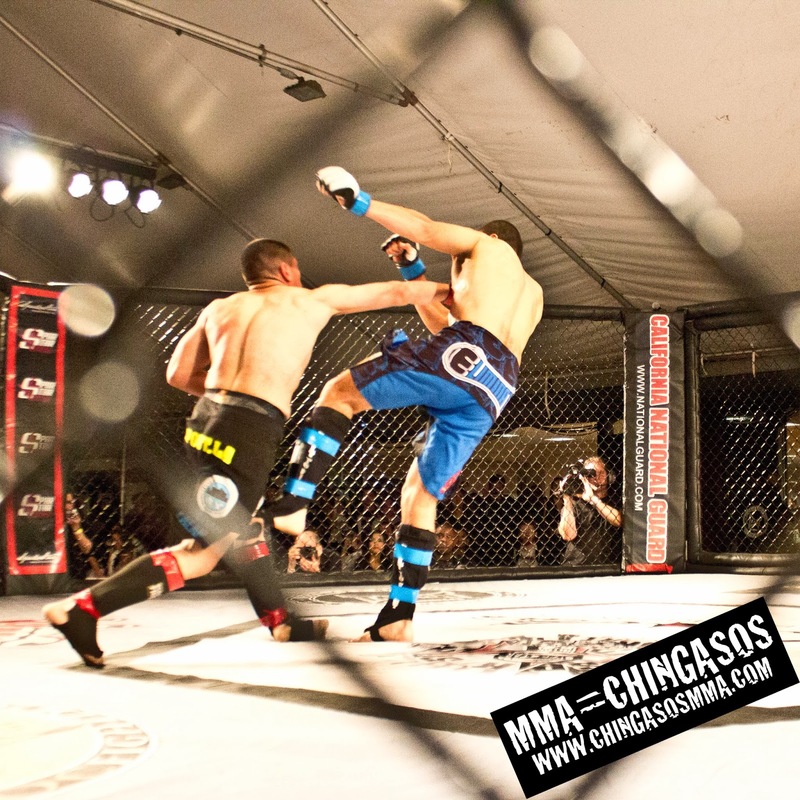 As the round was coming to an end, Chavez landed a hard left that knocked Lopez to the mat. Fox threw a few combinations, while Bryce waited to counter. Fox knocked Zarraga down with a left hook, and jumped on him on the mat. Fox ended the round with some ground and pound. Zarraga shot in and worked on a single. Fox was able to fight it off while landing chingasos. The fighters clinched, and Fox landed a hard knee. Zarraga waited for another opportunity then shot in for a double, but Fox fought it off as the round ended. Fox landed a hard kick, and when he went for another, Zarraga countered with his own and Fox landed on the mat. Fox worked his way back to the top position, and landed a few chingasos from there. Gonzalez threw a couple of kicks to open the round. However, Grant grabbed the leg then picked up Gonzalez and got a hard slam. Gonzalez recovered and worked his way back to the top position. The fighters worked their way back up, and Gonzalez went for a guillotine. Grant fought it off, and Gonzalez trapped Grant's arms to remain safe in the guard. Gonzalez threw a spinning back kick, but Grant got the takedown, once again. Grant worked his way to Gonzalez's back, and used the dominant position to land chingasos. Grant reversed position into Grant's guard, as the fight ended. Tanner Grant wins unanimous decision. Both fighters came out throwing chingasos via kicks. Reyes caught Cotton with a flurry of punches. Cotton escaped by throwing a well-timed kick. Reyes caught Cotton with another flurry, and the ref stepped in to stop the fight, as Cotton fell to the mat. Vazquez quickly shot in and got a double. Mendez held Vazquez down, and the ref stood them up. Vazquez immediately got another double. Mendez threw on a very tight triangle, but Vazquez managed to escape. Mendez threw a spinning back fist, but Vazquez ducked and got a double. 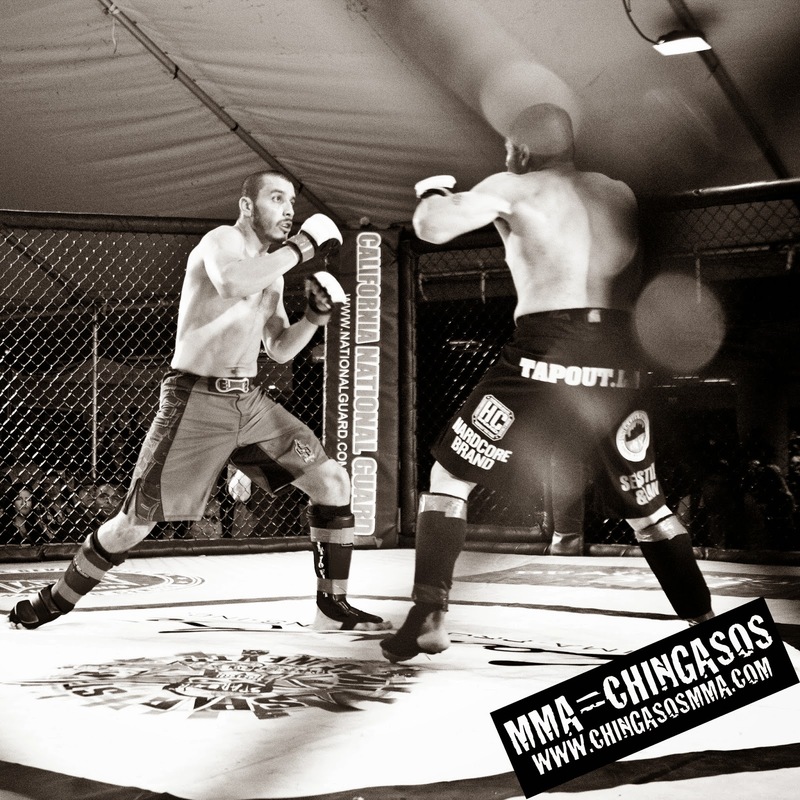 Mendez held Vazquez in guard. When they stood up, Vazquez shot in and persisted until he got the takedown. Vazquez shot in but Mendez defended. Mendez went for a standing guillotine until Vazquez picked him and slammed him. The ref stood the fighters up, when the action stalled. Mendez threw a kick, Vazquez caught it and used it for the takedown. Ahumada landed a couple of kicks and Widdoes shot in for the takedown. Widdoes took the mount and landed ground and pound. The ref stepped in to stop the fight. The fighters clinched, with Derrick pinning Lionel against the cage. The two fighters released and circled. Derrick threw an overhand left that connected perfectly for the knockout. Pilgrim threw a punch and shot in. Kimbrough went for a triangle from the bottom. They got back up and Pilgrim got a double then moved to mount. Both fighters threw chingasos before Pilgrim got a double. Pilgrim moved to side mount then to north south to land some ground and pound. Pilgrim attempted a standing guillotine as the round ended. Pilgrim quickly got a throw to get the fight to the ground. He passed to side where he attempted a key lock. However, Kimbrough used it to get back up. Kimbrough threw a kick that Pilgrim used to get a takedown. Pilgrim went for a triangle, but Kimbrough slammed his way out, as the fight ended. 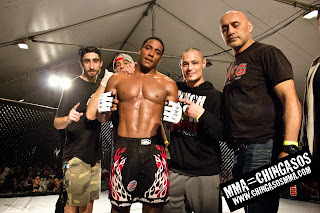 Flavian Pilgrim wins via unanimous decision. Stupplebeen shot in immediately for the takedown. Rodriguez got up and got his own takedown. The fighters got back up and threw chingasos. Rodriguez landed a left hook for the knockout. Rugama threw a knee that Sydnor tried to catch for a takedown, but Rugama ended up on top. Rugama landed some chingasos before Sydnor got up. Rugama got another takedown and took mount. Rugama landed vicious ground and pound before the ref stepped in to stop the fight. Spencer got a takedown but Leco got back up. Spencer got another takedown, but Leco got up immediately. Spencer threw an illegal knee, he was warned, and the fight continued. Spencer landed chingasos, but Leco survived. The fighters clinched and Spencer got a throw. Spencer went for a guillotine and finished it. Nickelson got a takedown and moved to side control. Sons was able to get back up, but Nickelson snatched his neck. Nickelson put the guillotine on while standing and finished it. 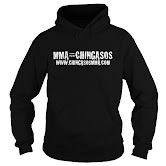 Stay tuned for upcoming MMA events in the Los Angeles area, as well as UFC Main Event fight picks.